If you are in a hurry and just want to find out what the best truck tent is, then we recommend the Sportz Truck Tent as the best one. Sometimes the convenience of camping in your truck supersedes the spaciousness of a ground tent. But sleeping in an open truck bed can be chilly and downright uncomfortable. Fortunately, we’ve found the best truck tent for the job- the ideal tent not only keeps you dry and insulated but also has extra features that make setup easy and your camping experience more enjoyable. 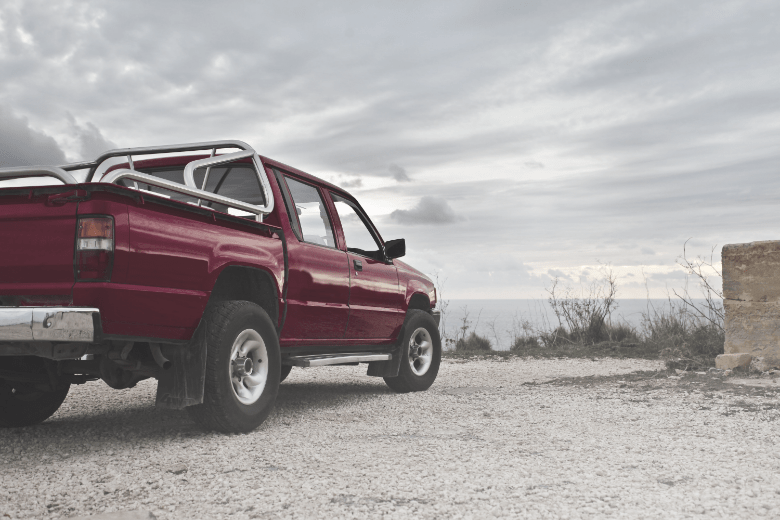 Sleeping in your truck bed may be an old habit, but that doesn’t mean it has to be uncomfortable. Modern tents upgrade the truck camping experience without the inconvenience of getting in and out of your tent to get things from the truck. If you have a lot of gear to stow, it might make more sense to pitch a tent in your truck bed to contain everything. Even ground tents that attach to your truck mean you won’t have to leave the comfort (and dryness) of the tent interior to access tools or supplies. Plus, no more hunching or crawling to get into the tent in the first place- truck tents offer a higher sleep surface. Of course, you may need a ladder to get in, but if your truck has a step already, then you’re all set. Most of the time, once you pitch your tent, you’re set. But what if flood conditions, campground rules, or insufficient space mean you have to move the tent and all your gear after setup? A truck tent eliminates relocation issues since you can move the truck with everything in it. Essentially, you can camp anywhere, even on inclined surfaces- as long as you tie down all your belongings! If you’re camping in a location with lots of wildlife, tent camping may save your belongings a few scratches. While a truck tent won’t be a deterrent to bears, smaller animals are unlikely to bother a tent that’s a few feet off the ground. Of course, zippered tents also mean fewer bugs than if you camped in the open-air in your truck bed. Fewer mosquito bites is always a bonus. Not all truck tents are the same, and not every model will work with your vehicle. Here’s what to look for when shopping for a tent. Some truck tents, particularly ground type ones, are almost one-size-fits-all. But many are a specific size that either does or doesn’t fit your model and length of the truck. Measure your truck ahead of time so that you’re ready when it’s time to select a size. Variations can include sizes for everything from a full-size crew cab truck to a mid-size short box length. Keep in mind width and height measurements as well so you can find the optimal fit. If you’re a solo traveler, selecting a tent may prove simple enough. But for multiple occupants, you’ll want more space for people and gear. The thing is, truck tents typically only offer as much floor space as you have truck bed space. Of course, ground tents are a reasonable solution to this problem, and ground truck tents connect to the truck to expand your “livable” space. If you want additional features like internal storage, exterior vestibules, cab access panels, or built-in floors, keep that in mind while you shop. Not every tent has a pass-through to the cab window, and not every tent comes with an attached floor- but these features may be deal breakers to many campers. Here are our criteria for selecting the best truck tent available. Not all truck tents will fit every truck bed. There are also “truck tents” to suit SUVs and minivans, too. Take care when choosing your tent and make sure the sizing and features are compatible with your vehicle. Some models are compatible with trucks that have toolboxes or bed liners. Others will fit only the bed and require that you measure with the tailgate closed for best results. Be sure to read all the details when shopping for the right fit. Some truck tents fit under your existing camper shell. This insulates against bugs and other pests but lets you maintain airflow with the door pointing to the back of the truck bed. Other tents are standalone versions that serve in three seasons or more. Keep in mind where you intend to camp, in what season, and whether you want to keep your truck’s camper shell on or not. In general, there are three types of truck tents: bed-only models, rooftop versions, and ground tents with cutouts to attach to a vehicle. Decide what style works best for you based on how big the bed is, how many people you need to fit, and any personal preferences on setup and features. While the Rightline Gear 110730 Truck Bed Tent is a floorless model, that means it’s easier to set up and take down without disturbing what’s already in your truck bed. Plus, plenty of sizing options ensure you’ll find the right fit. Heavy-duty straps and buckles hold everything in place but won’t damage your vehicle’s finish. Setup is even easier thanks to the color-coded poles and pole pockets. The setup guide is also part of the tent bag, so you can never lose the instructions. While the access door runs almost the entire height of the tent, ventilation windows are a bit limited. Still, you’ll likely find there’s enough ventilation- it’s just hard to see out along the sides and back of the tent. If you want ultimate privacy along with rain protection, the Milliard Truck Tent might fit the bill. Milliard uses a ripstop material in the tent’s construction, and the accompanying rain fly keeps things dry. A sewn-in floor prevents any dirt in the truck bed from making its way inside your tent, keeping everything clean and cozy. But want more coziness? Just close the privacy windows to block out light and nosy neighbors. The Milliard Truck Tent is also the most affordable truck tent in our lineup, which makes sense because of its relatively bare bones setup. Limited sizing options mean it won’t fit every truck, but if it does fit yours, it’s the ideal entry-level truck bed tent for at least three seasons. If you started tent or SUV camping before it was cool, the Napier Backroadz Truck Tent will look familiar. It’s mostly a ground tent, but with a few critical features for truck bed camping. The large cabin-shaped tent has one large opening on the back where it secures to your vehicle, plus a standard D-shaped entry door on the front. With the rain fly and secure attachment to your truck or SUV, you can pass between the two spaces without getting wet or cold. Plus, if you need to remove the tent to move the vehicle, it’s simple to zip the panel shut and remove the connecting “tunnel.” You can also convert the tent to a standalone model if necessary. Overall, it’s a versatile tent for families who need plenty of floor space but still require access to the vehicle. In three separate sizes plus elastic panels for fit, the Kodiak Canvas Truck Tent works in most truck beds. The material is 100 percent cotton duck canvas, a material that has a reputation for its durability and water resistance. The frame uses a tunnel shape, so it’s easy to pop up, but this model does lack a floor. Of course, that makes setup (and fit) simpler- just make sure your truck bed is relatively clean before setting up camp. With all the weight and durability, you can expect to need an extra set of hands during setup. With a sewn-in floor and a 4×4 awning, the Sportz Truck Tent has the features of a ground tent in a convenient truck tent package. The tent extends right to the edge of your truck bed (multiple fitted sizes available), and the awning hangs over. This way, you’re covered when clamoring in at the end of the day. A color-coded pole and sleeve system helps with setup, but the fact that the instructions are on the tent bag makes things easier. While nearly the entire back of the tent unzips with a full door, there are also two side windows for cross-ventilation. There’s also an access window so you can reach into the cab, too. Shopping for a truck tent can prove difficult because of the long list of features each one has. It’s also tough thanks to varying truck bed lengths and fit requirements. But among all the choices, the Sportz Truck Tent offers wide truck compatibility with multiple sizes for every model. And unlike floorless tents, the Sportz model keeps what’s in your truck bed outside the tent. Plenty of windows and side vents make it easy to maintain airflow and prevent condensation buildup. But the icing on top? Probably the 4×4 awning that keeps you covered while you climb in and out of the tent. All-around accessibility and plenty of fit options make the Sportz our top pick for the best truck tent.